London, 01 April 2019 – 3D Repo has just released the latest version of its cloud-based digital construction platform in one of their most exciting releases to date. Newly added features include data validation using Smart Groups, native Revit file support, updates to SafetiBase (Health & Safety Issue Tracker), API key access, and additional rendering options. The latest update has a strong focus on democratising otherwise difficult data operations, along with time-saving features to increase overall productivity for all users of the platform. The newly added Smart Groups feature is one of the most highly anticipated updates to the platform in recent times, giving users a simple way to validate the data and group model elements. “Smart Groups democratises the process of data validation, makes progress tracking easy and ultimately results in more reliable data outputs for the client” says Founder & CEO of 3D Repo, Jozef Dobos. “The great thing about this feature is that it opens up the data validation process to all stakeholders regardless of their knowledge of software or licensing limitations of other software” added Dobos. 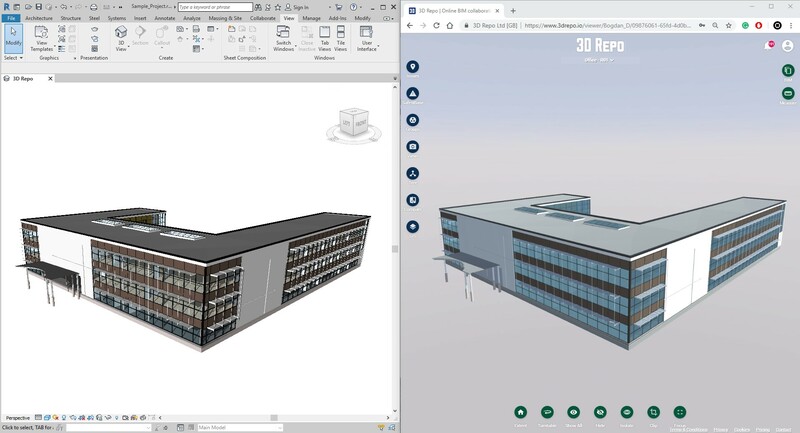 Another highly anticipated update, 3D Repo now includes native Revit support meaning users can now upload Revit files directly to the 3D Repo platform where they can be managed in an online database and used in federations for design coordination. “This is a great addition to the platform as it is going to save users potentially hours of time when federating models with each design iteration. Where previously users would export to IFC file format before uploading, now you can simply upload files directly from Revit” said Dobos. 3D Repo’s SafetiBase feature, a collaborative way to share and use health and Safety information and project risk data within the model has also had an update. Key updates include a full audit trail of changes for each risk, additional post mitigation risk options, ability to add and track residual risk and support for multiple markups. SafetiBase conforms to the specification for ‘collaborative sharing and use of structured health and safety information using BIM’ (Publicly Available Specification PAS 1192-6). Going a step further to improve collaboration and compatibility with the platform, 3D Repo now also offers API Key to its users. Making the authentication process easier when integrating custom workflows or making API calls from other software. One of the key benefits of the 3D Repo platform is its compatibility with other software and file formats and this update goes further to promote its ease of use with other software platforms that people in the industry interact with. Along with these new key features, the platform now comes with additional rendering options to enhance model presentation for better visualisation. New users are being encouraged to sign up for a free starter account at 3drepo.com to experience the power of the digital construction platform for themselves. 3D Repo is the multi award-winning company behind the cloud-based BIM platform that allows users to access the latest 3D models and make real-time changes and informed decisions online. 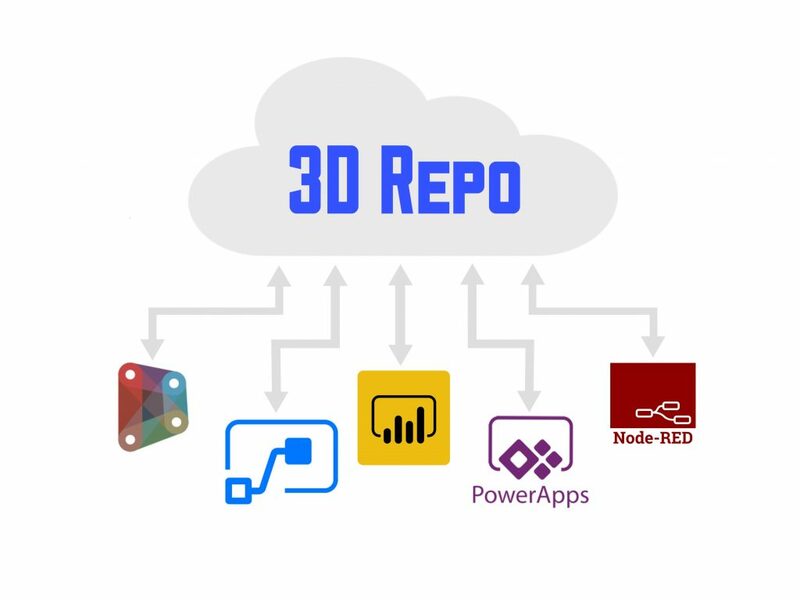 Often described as an online knowledge base, the 3D Repo platform is different from other collaboration tools as it uses a component-based database – meaning that information is live, useful and accessible throughout the entire project lifecycle.